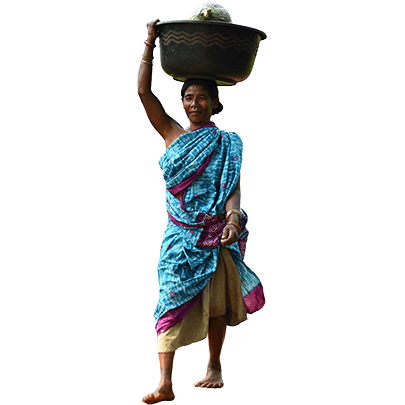 The 'ODAF Initiative towards Sustainable Development' sought to address the core problems of the tribal communities, predominantly consisting of Bhima and Lanjia Sauras, in the districts of Gajapati and Ganjam around the Mahendragiri hills in Odisha. The overall objective of the project was to promote processes to facilitate the tribal communities to ascertain their own priorities and development needs through systematic interventions in their leadership and economic capacities. Crop yields and family income rose in comparison with 2010. More than 90% of the children of the target groups attended school and the rate of school dropouts declined by 50%. The participation of women in the local council increased to 40%. The methods of social auditing were exemplarily applied in 17 local councils. The food and income of the target group was guaranteed through sustainable agriculture. The number of small family farmers with registered land rights saw an increase.